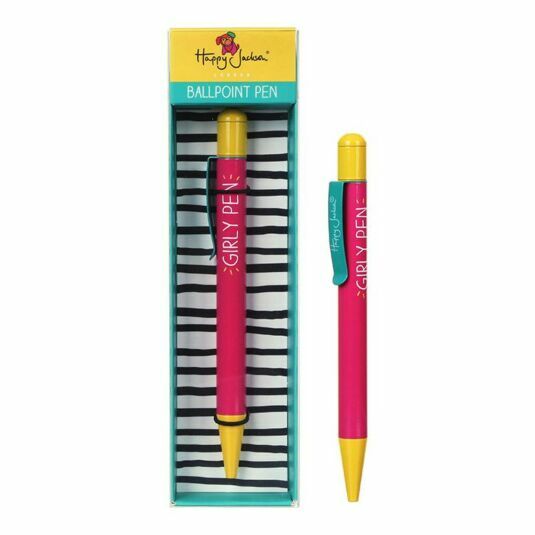 This gorgeous, vibrant pen is perfect for girly girls who like to put their thoughts (and doodles!) down on paper. This high quality all metal construction ballpoint pen from Happy Jackson makes a lovely present for friends and loved ones on their birthday or at Christmas. The pen has a twist mechanism and writes with a black ink. 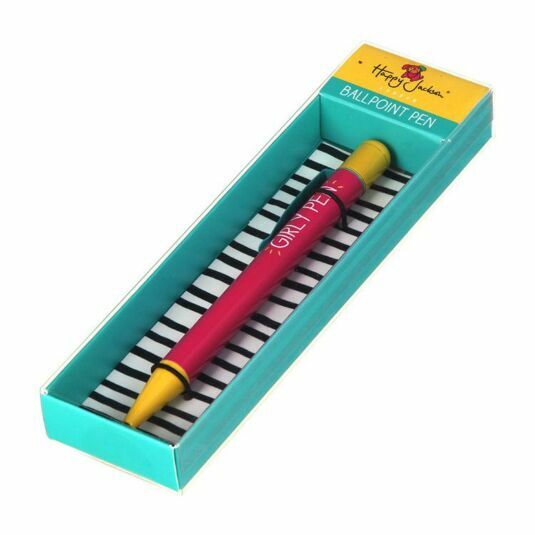 The pen itself is hot pink with a bright yellow base and nib, a turquoise clip with the Happy Jackson logo, and features the words "Girly Pen" and comes complete with a gift box featuring vibrant Happy Jackson graphics. This pen is also the only one you should ever need as the cartridge is user replaceable.